AMC Trio is a Slovak piano trio; although, while it is true the trio is Slovak, it is less true that it is always a piano trio and, quite often, it is not even a trio… In any case what is true is that it is a grouping of three musicians with the best worldwide jazz contacts: Randy Brecker, Philip Catherine, Bill Evans, Ulf Wakenius, Mark Whitfield, Michael ‘Patches’ Stewart and many others have joined forces with AMC Trio either as special guests at their concerts or as collaborators in the studio. This incredible ensemble which built its musical foundation in mainstream jazz has been around for about twenty years. It consists of Peter Adamkovic on piano, Martin Marincak on bass and Stanislav Cvanciger on drums. AMC Trio has successfully developed its own language and style which makes it recognizable and unique. In its compositions, it manages to evoke very real emotions and stories. Playing their own material is their natural and preferred way of working. Despite having their roots in Slovak culture, the compositions sound international, as the trio goes beyond traditional jazz techniques and strives for a multi-genre sound. Their music draws on variation and the smooth melodiousness of the treated themes which are inspired, for instance, by popular and classical music, melodies from Eastern Slovak folk music, or even by nature, literature, spirituality and any kind of beauty. AMC Trio is neither a regular one-leader trio nor a regular trio. It is rather a community of three equal members whose distinctiveness is bound into a special unit so that their mutual likeness and closeness stand out even more. 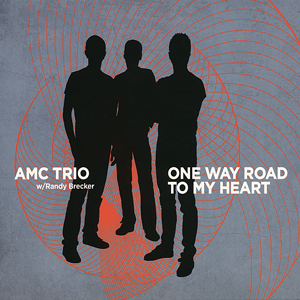 AMC Trio is credited with six studio albums from which One Way Road To My Heart has been awarded the Radio_Head Award for best jazz album in 2013. The last one Ad Fontes on which the trio along with Folk Band Of Stano Baláž presents arrangements of Slovak folk tunes has been awarded the Public prize for the best CD in 2017 in Esprit competition.